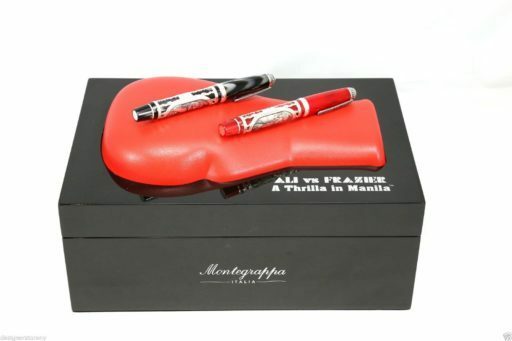 DESCRIPTION: Montegrappa is pleased to announce a companion pen set to the acclaimed “Icons” writing instruments honoring the legendary Muhammad Ali. Commemorating the 35th Anniversary of one of his greatest fights, “A Thrilla In Manila”, the new set has been authorized by both Muhammad Ali Enterprises and Joe Frazier. 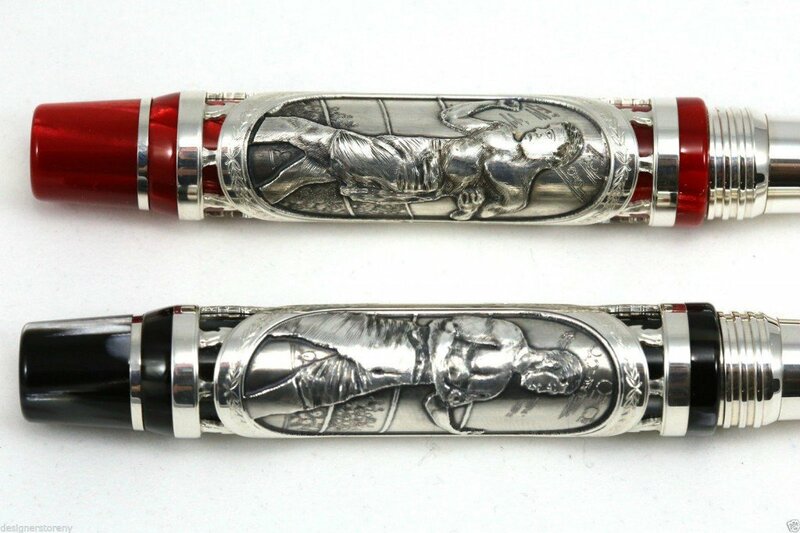 Montegrappa is also proud to announce that its authenticity will be enhanced by a very special feature: the referee for that historic meeting, Carlos “Sonny” Padilla, Jr., has provided his “up close and personal” account of the event, reproduced in the owner’s manual. 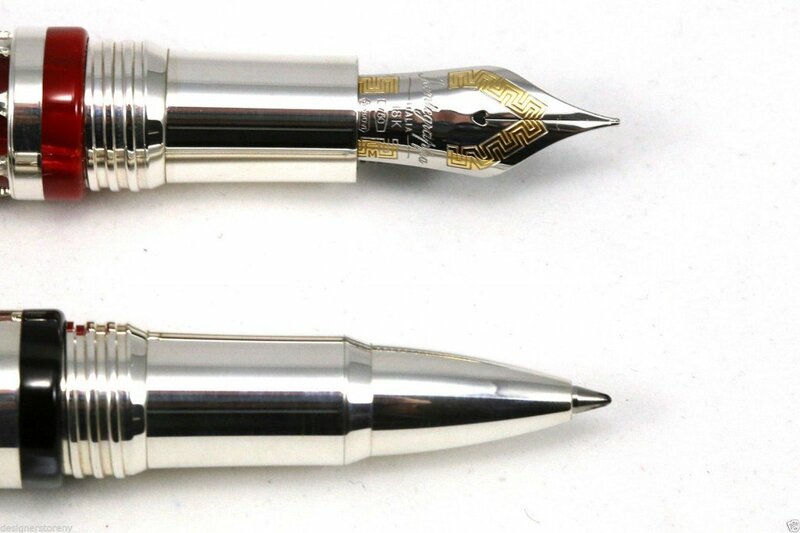 Issued in a gold version limited to 35 examples and a silver edition in a series of 350, “A Thrilla In Manila” sets will arrive in lavish boxes featuring a three-dimensional boxing glove forming the lid. 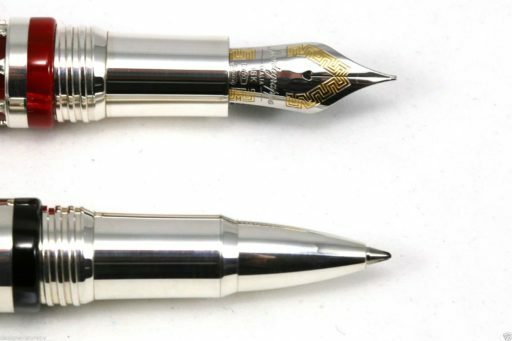 Inside is a pad on which the Ali and the Frazier pens will rest. 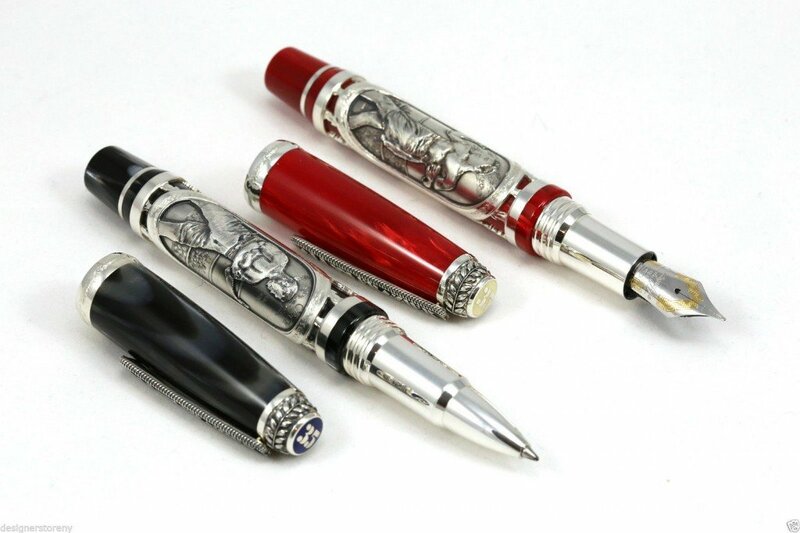 In between the pens, a badge will recall the design of those used to decorate the heavyweight belts. 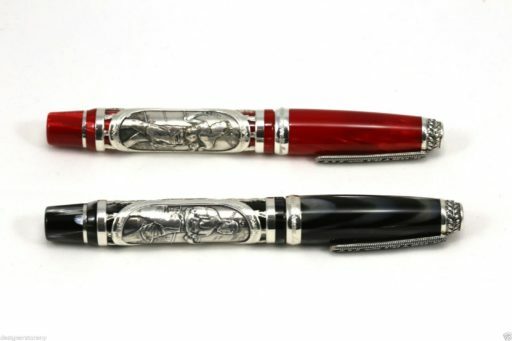 A certificate of authenticity will accompany each pen set and will carry the original signature of Carlos Padilla Jr., the referee of “A Thrilla in Manila”, and of Gianfranco Aquila, Chairman of Montegrappa. 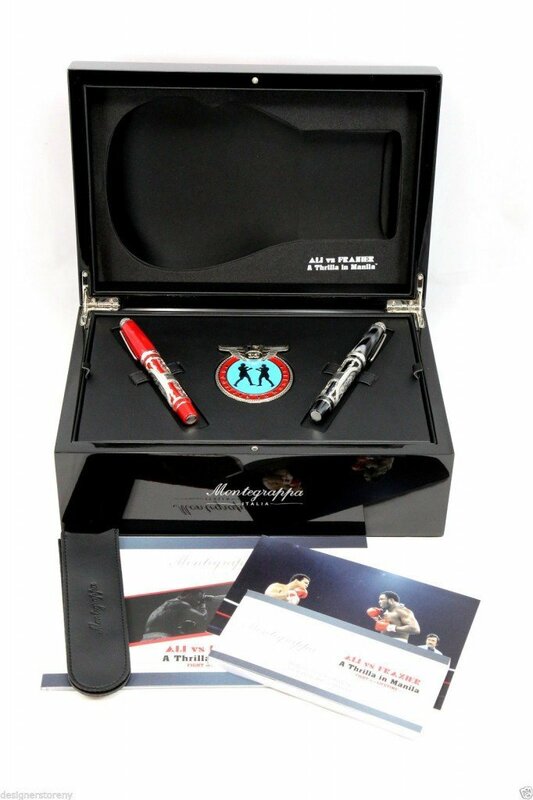 Additionally, the gold sets will include a framed picture showing Ali, Frazier and Padilla, autographed by the three of them, along with a special plexiglass display into which the pens can be placed.